Confession time. I'm about to do something almost inconceivable. Something I've never done before. 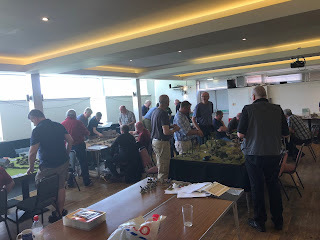 Something I've always shied away from in all the years I've been wargaming. Which, upon reflection is a long time by anyone's standards. I'm thinking of changing the habit of a lifetime. I'm thinking of going three sheets to the wind in 15mm. And before any of you Baccus fans start arguing that 15mm isn't that big a differnce from 28mm, let me put you straight. You're right. But for me, going to 15mm is a completely alien cencept. Not that I haven't already taken the plunge and gone for an alternate scale before. Many years ago I was compelled to give WWII a game, thanks to the arrival of NUTS! by Ed at THW. There were no plastics back then. 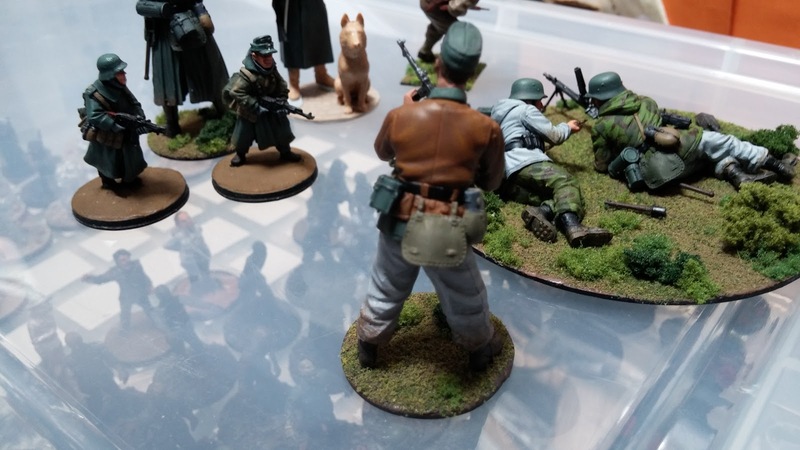 Warlord Games hadn't taken on Bolt Action. So I decided to go 1/35 scale. And completely loved it. I still have lots of stuff to make for this. But at the end of the day, that's going larger, not smaller. But the do look lovely, though. Enter On the Seven Seas by Chris Peers. It's a great set of rules. No surprises there. I'm a big fan of Saurian Safari, Death on a Dark Continent & Contemptible Little Armies. I love the idea of a Pirate game, complete with treasure islands, ships, pirate coves and so on. And I woukd dearly love to get my hands on some of the North Star pirate figures that were released to tie in with the rulebook. Especially the Captain Hook, Smee and Long John Silver models. But then I go to thinking about scale. How big would a pirate ship need to be in 28mm? And where on earth would I store it? 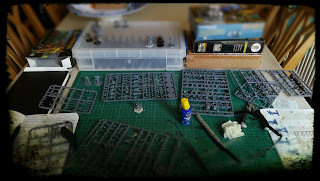 My wife's blooming good about the amount of space my hobby occupies. Cynics woukd point out that's because most of it is in the loft. But that would be doing her a disservice. The truth is simple. I have no idea where I'd store the stuff. Heck, I doubt I'd get a single 28mm sloop through the door to the loft without breaking the yardarm or a mast or two. And then I came across Blue Moon's 15mm pirates. What can I say? They look amazing considering their size. And 28 models for £12 looks like a bargain on every level. But this is all very hard for me. I came into this hobby through 28mm scale. Which back then was 25mm. GW was my benchmark. 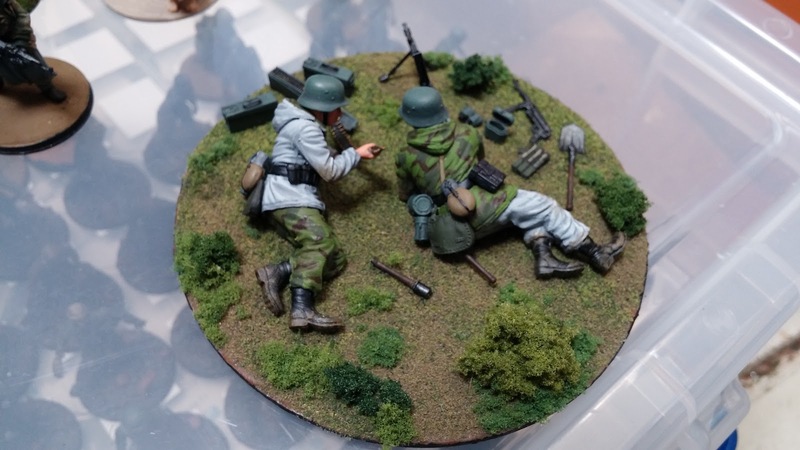 28mm is comfy. 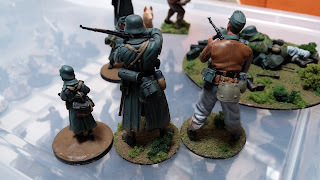 Thirty years of painting the things and I'm gradually settling into painting them. I did consider Baccus 6mm for Zulu war. Why didn't I go ahead? Well, it certainly wasn't the lack of detail on the miniatures. I have no idea how Baccus manages to get so much detail on so small a product. I think it was the same thing as affects my willingness to lift brush to any model. The fear of ruining it. 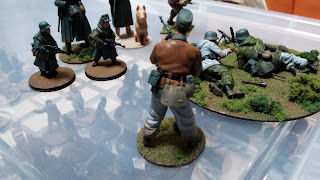 After all, if like me you have a very limited amount of money for figures, you obviously spend too long on deciding which models you actually want to part cash for. Painting them can go one of two ways. And if that's bad, then it's not so easy to start over. And if I can overcome that, then I can shift to a whole new scale with ease. Of course, if Jason Monkman was sculpting these figures, there'd be absolutely no doubt in my mind whatsoever. His work is second to none. 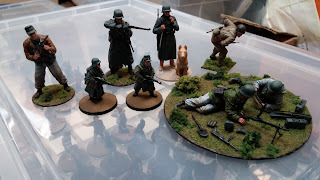 Including Perry Miniatures. Which for those of you who know me, is high praise indeed! So, what are your thoughts? Comments and caveats are most welcome in the relevant space below. Am I mad to consider this, or am I on the cusp of something great?